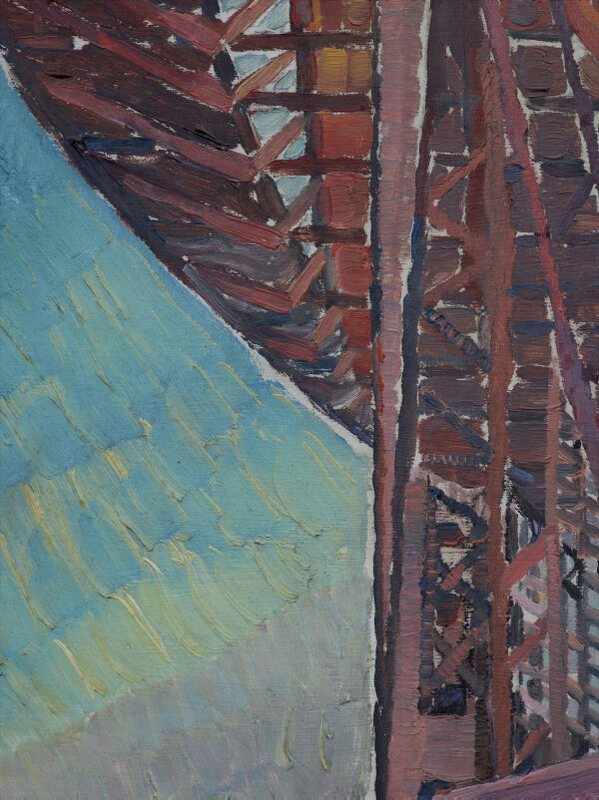 Throughout its construction, which was completed in 1932, the Sydney Harbour Bridge inspired many artists to redefine their visions of the city and the harbour by incorporating this new industrial structure. 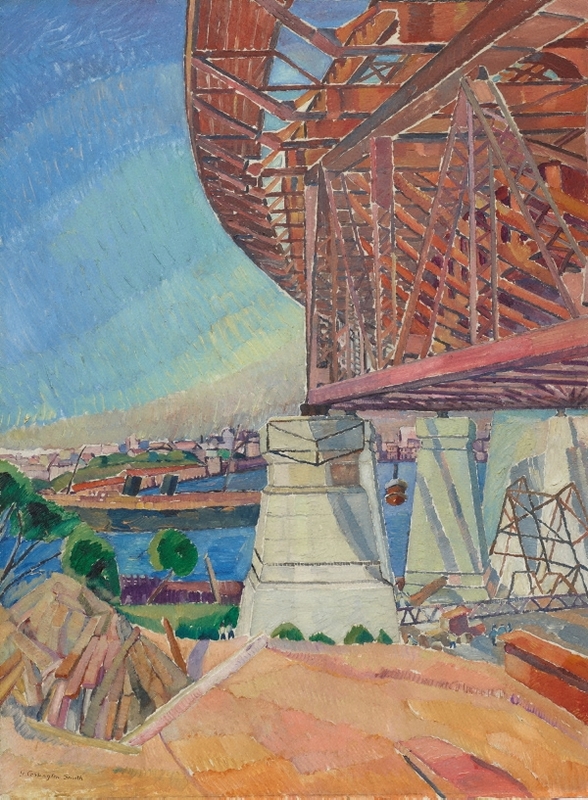 This painting shows the massive frame-work in mid-construction, emerging from the shores of North Sydney. It reveals Grace Cossington Smith’s view of the bridge as a dynamic work-in-progress. In a powerful translation of forms through colour and light, the painting radiates optimism and energy in a celebration of modern engineering and, more broadly, the modern age. The artist made many pencil studies onsite, which she inscribed with notes on colour, took back to her studio and transformed into an iconic expression of Sydney’s most enduring urban monument. Craig Bush, Look , 'Years of enrichment: The society reaches another milestone', pg. 12-15, Sydney, May 2009, 14. Dinah Dysart, Art and Australia (Vol. 46, No. 3) , 'Australianness: Daniel Thomas reflects on a lifetime spent on moving art beyond the margins', pg. 438-447, Sydney, 2009, 442 (colour illus.). Deborah Edwards, Australian art: in the Art Gallery of New South Wales , 'Moderns', pg. 103-104, Sydney, 2000, 104, 114, 115 (colour illus. ), 302. Deborah Edwards and Vivienne Webb, Look , 'An icon of Sydney modernism', pg.18-19, Melbourne, Aug 1999, 18. Peter Gotting, The Sydney Morning Herald , 'To great and absent friends', pg. 14, Sydney, 01 Aug 2000, 14. See Curator's Worksheet for copy of article. 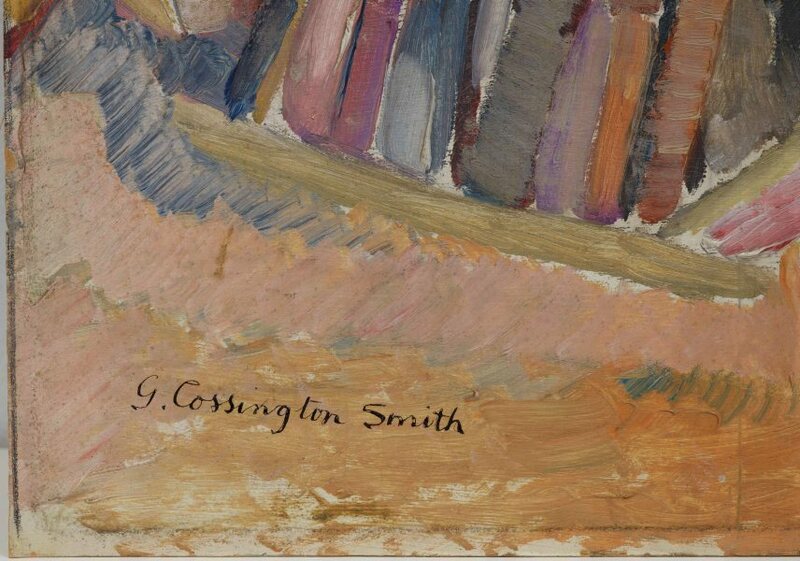 Deborah Hart, Grace Cossington Smith , 'A distinctive vision', pg. 26-55, Canberra, 2005, 39, 45, 130 (colour illus. ), 131-133, 136, 140, 176. 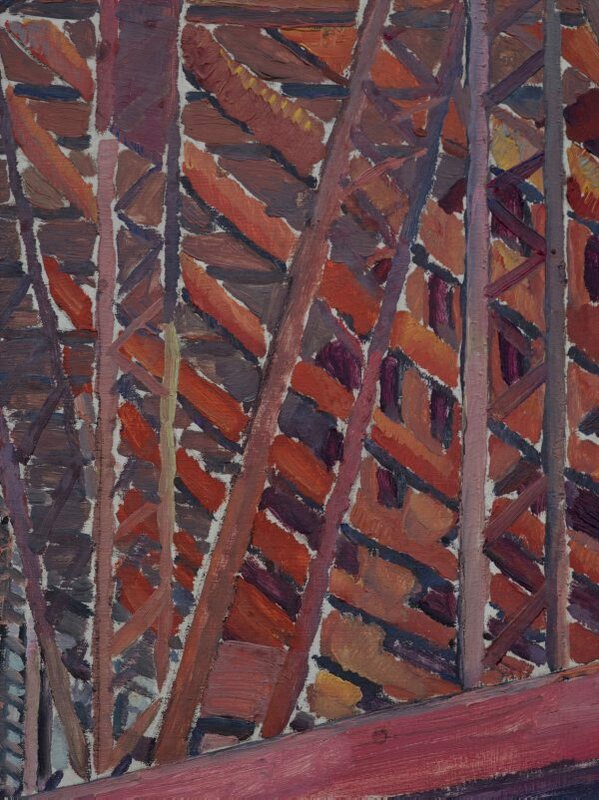 Bruce James, Australian painters of the twentieth century , 'Grace Cossington Smith', pg. 40-51, Sydney, 2000, 40 (colour illus. ), 44. Bruce James, Art Gallery of New South Wales handbook , 'Australian Collection: Painting and Sculpture', pg. 102-181, Sydney, 1999, 102 (colour illus. ), 141 (colour illus.). The image on pg. 102 is in detail. Bruce James, The Sydney Morning Herald , 'Light fantastic', pg. 11, Sydney, 02 Sep 2000, 11. NOTE: page 11 of Spectrum lift-out. Heather Johnson, Australian art collector , 'Private Pleasure, Public Gain - the influence of private collections', pg. 58-61, Ultimo, Apr 1998-Jun 1998, 58 (colour illus. ), 59. Heather Johnson, Australian Journal of Art (vol. XI) , 'The problem of "gendered space": Roy de Maistre and Surrealism', pg. 85-108, Canberra, 1993, 88-89. Deborah Jones, The Weekend Australian , 'Australian Icons: masters of the collection of the Art Gallery of New South Wales', pg. 1, Sydney, 12 Aug 2000-13 Aug 2000, 1 (colour illus. ), 4. This colour supplement is a 'Review Special' published for the 'Weekend Australian'. It consists of a four-page, colour wrap-around for the 'Weekend Australian Review'. 'The Australian' was the media sponsor for the AGNSW Exhibition 'Australian Icons', for the Olympic Arts Festival 2000. John Masters, Sydney moderns: art for a new world , 'From the sponser', pg. 8, Sydney, 2013, 8, 12 (colour illus. ), 34, 154, 155 (colour illus. ), 315, 324. Tomislav Nikolic, Look , 'The art that made me', Sydney, May 2018-Jun 2018, 24 (colour illus.). 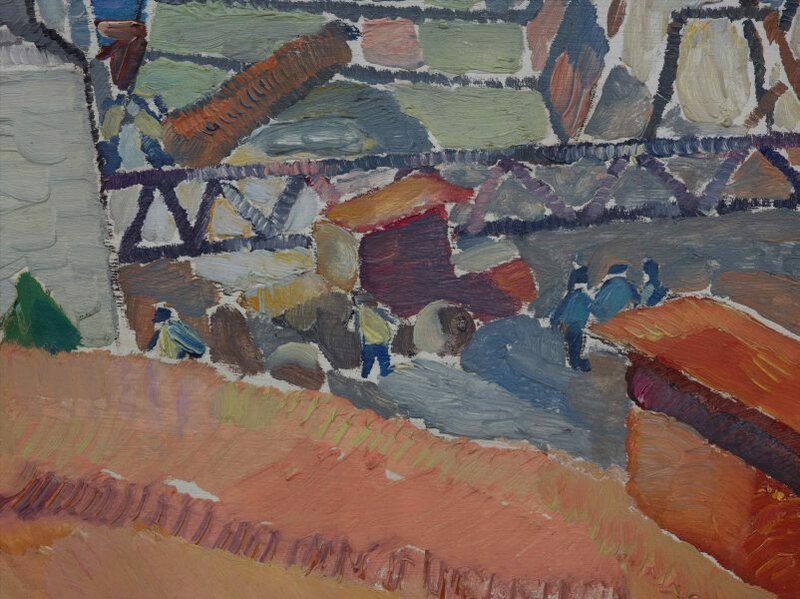 Barry Pearce., Foundation Newsletter #2 , 'Grace Cossington Smith's "Centre of a city" c1925', Sydney, May 2003. 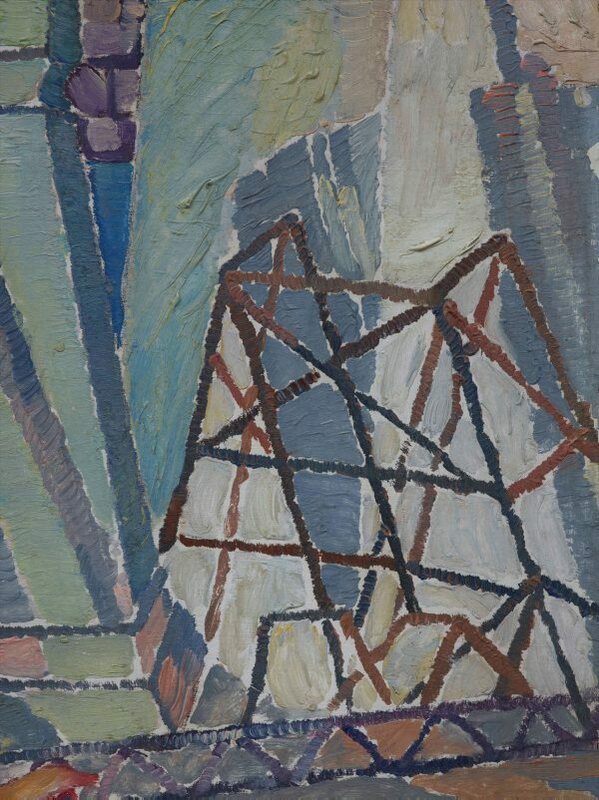 Barry Pearce, Look , 'Jewel of a painting returns: Out of Australian sight for nearly ninety years', pg. 12-13, Sydney, Mar 2010, 12. Barry Pearce, Look: 1953-2003 celebrating 50 years , 'Presenting our own artists: how the AGS put balance into the Australian collection', pg. 42-44, Sydney, May 2003, 43 (colour illus.). Jill Sykes, Look , ‘Barry Pearce’s next book-call it “segueing with intent”’, pg. 28-29, Sydney, Mar 2012, 28, 29 (colour illus.). Wayne Tunnicliffe and Deborah Edwards, Look , 'New Australia', pg. 24-27, Sydney, May 2012, 24, 27 (colour illus.),. Judith White, art lovers: the story of the Art Gallery Society of New South Wales 1953-2013 , 'Chapter 5: Be part of the art 1988-2000', pp. 111-138, Sydney, 2013, 2-3 (illus. ), 115, 226, 227 (colour illus.). Jane Wynter, Look , 'Vale James Fairfax', Sydney, May 2017-Jun 2017, 17 (colour illus.). Art is ... making, creating and appreciating 2 , Milton, 1999, 222 (colour illus.). S.A. Parker Framing Works , 'Works in the collection with known Parker frames', pg. 27-68, Sydney, 2004, 37 (illus. ), 42 (colour illus.). Bridging Sydney , Sydney, 2006, 167 (colour illus.). Retailing Management - A Best Practice Approach , Melbourne, 1996, front cover (illus.). AGNSW Collections , 'From Colonialism to late Modernism', pg. 7-106, Sydney, 1994, 34, 35 (colour illus.). The Encyclopedia of Australian Art , St Leonards, 1994, 404 (colour illus.). Enter Art , Sydney, 2000, sheet number 4 (colour illus.). Education kit produced by the NSW Dept of Education and Training as teaching resource for primary school teachers. Sydney Harbour Bridge: Idea to icon , Ashgrove, 2006, 49 (colour illus.). Art Gallery of New South Wales: highlights from the collection , Sydney, 2008, 92, 93 (colour illus.). Art in Australia [series 3, no. 29] , Sydney, Sep 1929, (illus.). plate no. 26; "'The Bridge Curve' (in possession of Mrs G. MacDermott.)" 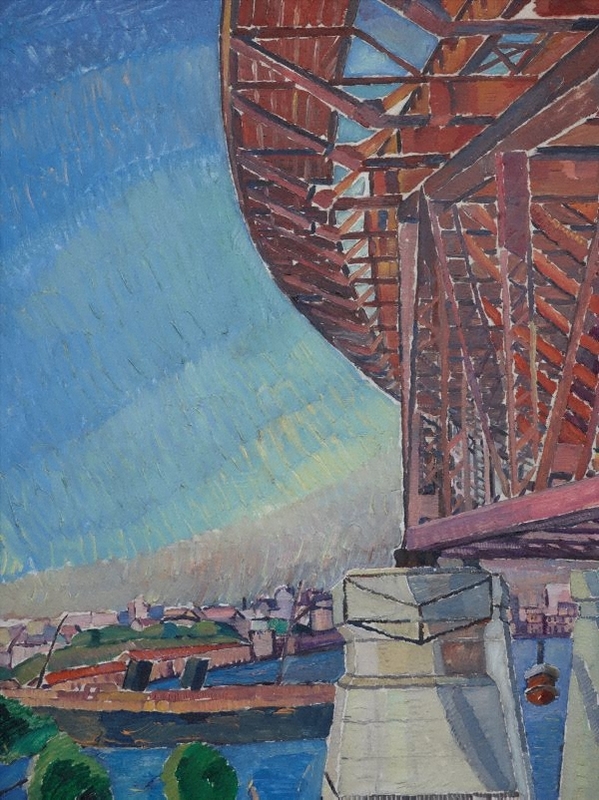 Art-iculate: art for VCE units 1-4 , 'Grace Cossington Smith', pg. 151-153, Port Melbourne, 2009, 151 (colour illus.). Look , Melbourne, Apr 1999, cover (colour illus. ), 5 (colour illus.). This image appearing on the cover is in detail.